On Wednesday, November 28th, the Cleveland Cavaliers traded Kyle Korver to the Utah Jazz. The Cavaliers received 27-year-old Alec Burks, and 2020 and 2021 second round picks. The Cavaliers picked up Kyle Korver in 2017 in order to gain another great shooter to surround LeBron James. Even after the Cavaliers lost LeBron James, they were hoping to still be a contender for the playoffs. But after a 4-15 start to the season, it seems pretty clear that they are no longer in contention and Kyle Korver is no longer needed. 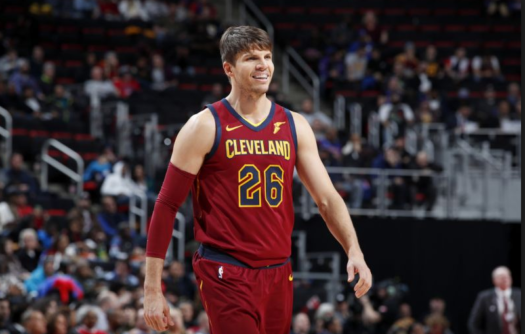 Kyle Korver is one of the greatest shooters in NBA history, which gained a lot of interest for him on the trade market from teams that need another shooter. This will be the second time that Kyle Korver has played for the Utah Jazz; he also played for them from 2007-2010. Alec Burks was a first-round pick in 2011 and was drafted by the Utah Jazz that year. He has faced injuries for the past couple years and come off the bench for the Jazz. Now that Burks is a part of the Cleveland Cavaliers, he will be able to get more playing time and a fresh start.